One awesome thing that happened to me during the last week of August is my free update to Windows 10 in my work laptop. The awesomeness of this new Windows version makes me cringe. For the record, I am not a fan of the Windows 8.1. 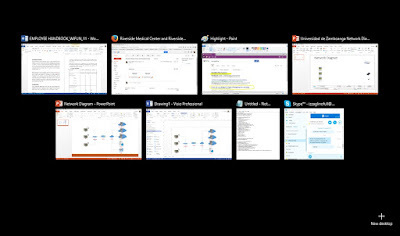 I hate the tiles thing and how it makes it hard for you to search for your documents and all. So when the invitation to upgrade suddenly popped out in my work PC, I immediately upgraded. Today I will be sharing to you the 8 Things I Love About Windows 10!!! I hope you will enjoy this post and you please feel free to share to others as well. 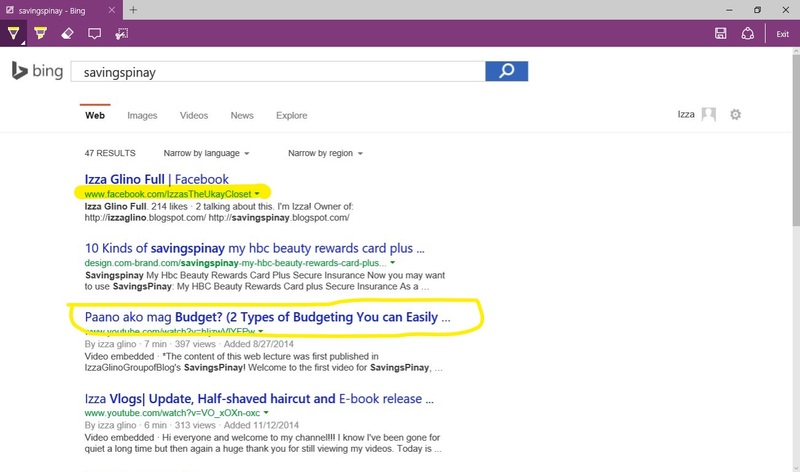 Windows 10 gives you everything you need at a glance. Unlike before when the start menu is full screen with all the tiles of your apps, this time the Start Menu is restricted to a single column with your frequently used and recently used programs. The tiles are still there but it is way better because it just appears on the corner of your PC unlike before when you will be out of the screen you are working with. The Microsoft Edge is a big surprise for me. This is the new Internet Explorer. 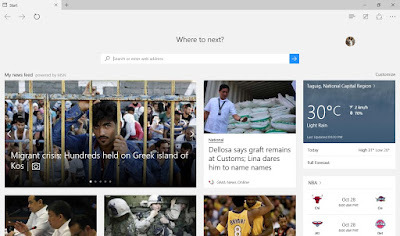 For a start you have all the news once you open Microsft Edge. 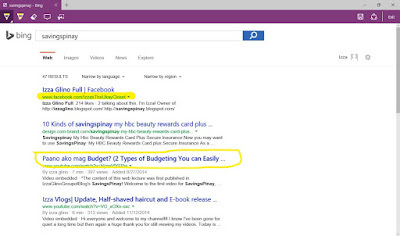 Then you can type whatever you need to search. I love how fast this browser works and I actually find myself searching through this browser more than Google Chrome of Mozilla Firefox. This is such a valuable thing for me as a blogger/writer. I believe I can use this i creating instructional images for my How-To Posts. You will click a button on top of the menu and you have you mini Paint-link options where you can highlight and draw in the web page!!! You can save this image and print it. Easily view all your open programs with the Task View! I love this so much because I am the type who opens programs simultaneously until I can't keep track of all my active programs anymore. Now you have a glimpse of how some of my works in the office. 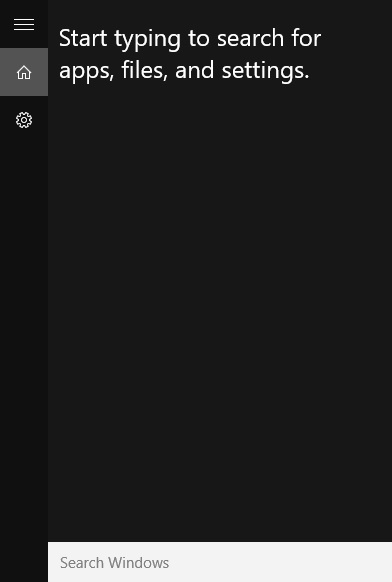 Another amazing new feature of Windows 10 is the Search functionality wherein the button itself is in the task bar. Once you click, you can now easily look for your apps, files and settings. You know my affection with black and I just love how good looking the new Calendar is. It is also bigger unlike before when you can't really see the dates. 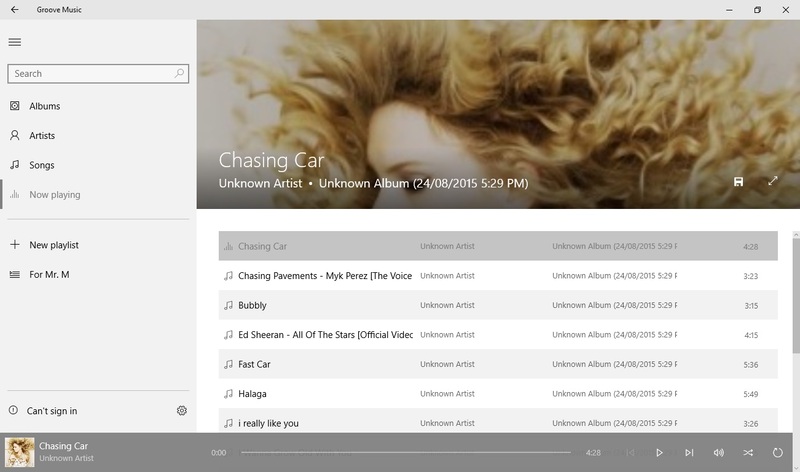 This is the new music player for Windows 10 and I love it. It is classic looking plus it reminds me of Spotify, SoundCloud and Itunes at the same time. 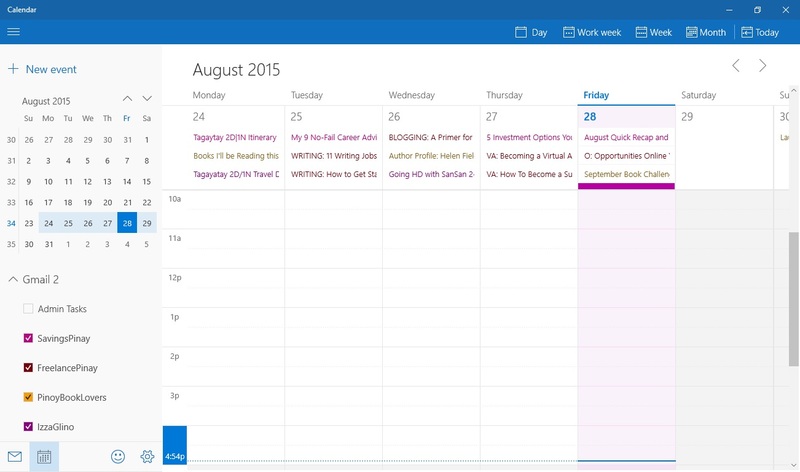 The new Micorsoft Calendar rocks!!! I love the layout and how it reminds me of Sunrise which is the main Calendar App that I use in my iPhone and iPad. Since my Sunrise can also sync Microsoft Calendar I've been obsessing in using it to schedule my day, my week and my month. 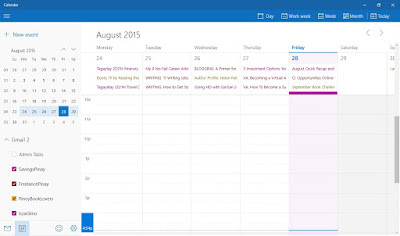 Then I switch to Google Calendar for my editorial calendar or the posts that will be up for a particular date. 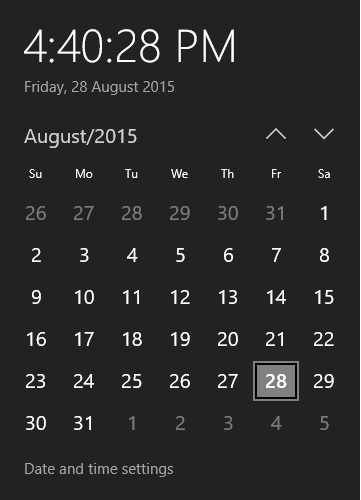 What's surprising is Microsoft Calendar, Sunrise Calendar and Google Calendar sync perfectly together. I don't have any problem viewing my schedule! Runner up will be the "Reader View" in Microsoft Edge where I can just click that book-like button and the blog that I am reading will be free of distractions. I can just scan all the content with its simplicity. I am oh so happy that Microsoft had this upgrade. Windows 10 is created for speed and efficiency. I love working on my laptop ever since. Have you upgraded to Windows 10 already? Do you love it? Tell me your experience about it.